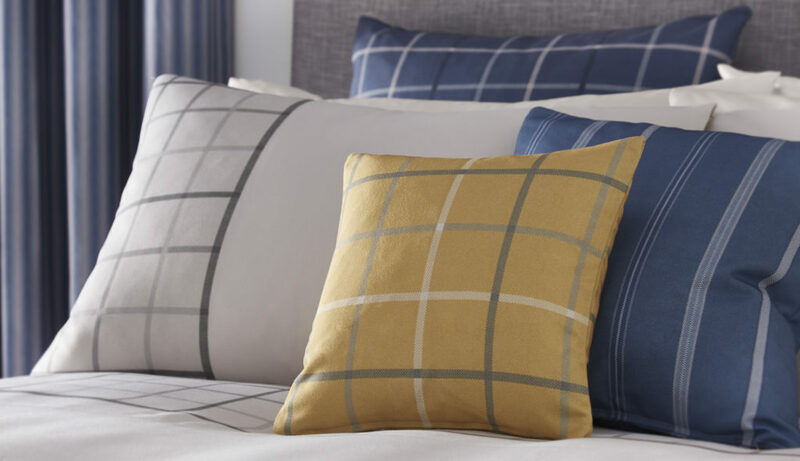 Add a finishing touch of comfort and cosiness to bedding or seating with coordinating cushions. We have a range of fabrics that can be suitably used for scatter cushions. In addition, we offer cushion inners that are soft and inherently flame retardant. Couple your chosen design to our cushion fabric to complete your desired look in any room. Choose from sizes 36cm up to 66cm. Discover a range of sizes and the ability to coordinate with your chosen base cloth and design to your own cushion.